Mr. Chung is responsible for leading the development of proprietary systems at DFG. He brings 16 years of experience in technology development from various industries. Prior to joining DFG, Mr. Chung founded a data analytics consulting firm catering to hedge funds. Before launching his consulting firm, Mr. Chung was a director in Blackstone Group’ innovation department, where he was tasked with building the firm’s next generation of investment management systems. 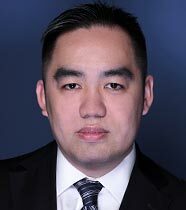 Mr. Chung began his career in financial services at DFG in 2008. Prior to this, he was a Senior Developer at White & Case LLP from 2006 to 2008, where he led software development for enterprise portal systems. Before White & Case, he served as an IT Architect for Meritain Health, where he was responsible for enterprise IT strategies and initiatives. Mr. Chung received a B.A. in Computer Information Systems from SUNY at Buffalo in 2004.